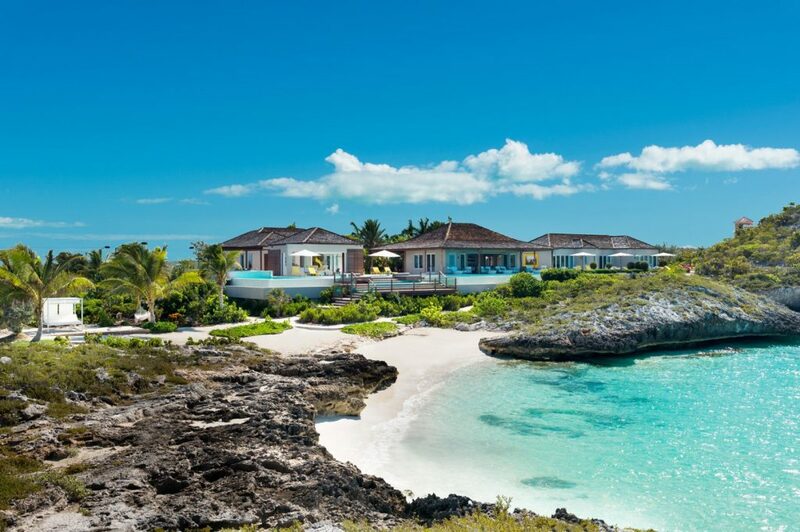 If you’re contemplating a getaway to a lovely climate with outstanding scenery, then consider Turks and Caicos. It’s home to numerous outstanding villas. 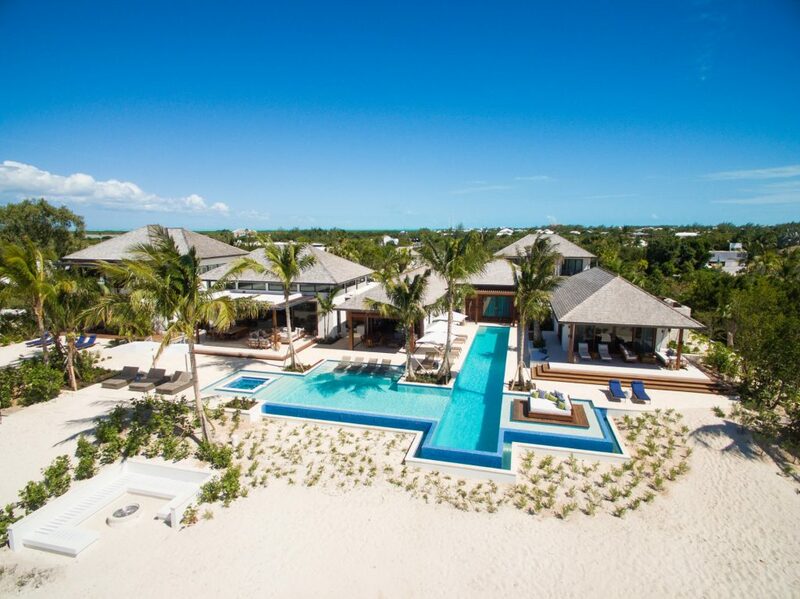 Here are five of the best luxury villas on Turks and Caicos. Villa Hawksbill is a vast estate located in a gated compound and boasting eight bedrooms. It’s situated on the Grace Bay Beach, which is widely considered to be one of the most beautiful in the world. At Villa Hawksbill, you can enjoy spectacular sunrises and sunsets, take in the scenery, and bask daily in the warm trade winds. Being an estate, you know that Villa Hawksbill will offer all the amenities you expect. This remarkable villa features a huge great room with dark wood ceilings, massive sofas and a dining table that will accommodate numerous guests. If you prefer, you can also gather in the open-air kitchen or relax in the game room. Villa Hawksbill is fully staffed, with a cook, housekeeper and butler who will look after all your needs. Your only job is to relax and enjoy your surroundings. The eight bedrooms are spaced well apart to ensure the privacy of all guests. The master suite features terrace access, an ensuite bath, and even an outdoor shower. Two suites also have private balconies. If you’re planning a destination wedding, special occasion, or just a family gathering, you’ll find much to appreciate at Villa Hawksbill. If you’re planning a large gathering, you can go up to ten bedrooms by renting the adjacent Villa Beach House. 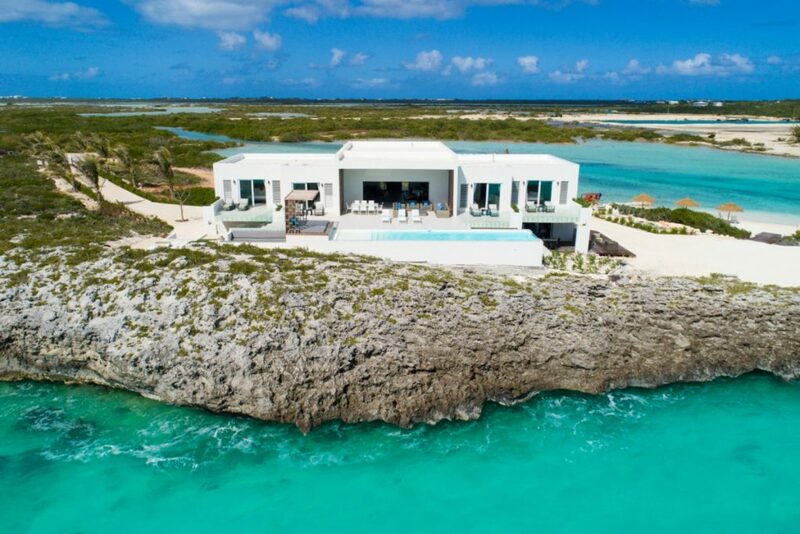 Turks and Caicos is renowned for luxury accommodations and Villa Turtle House is simply one of the best. It’s huge, with seven bedrooms and many outstanding amenities. You’ll have access to swimming pools, tennis courts, and a complete staff consisting of a butler, chef and housekeeper. As to the grounds, Turtle House is situated on a private cove, so you’re just steps away from a beautiful white sand beach. The gardens and lawns are immaculate, and you’ll appreciate the wrap-around pool terrace that features such gems as hammock areas, porticoes, sunbeds and comfortable furniture for lounging. Indoors, you’ll enjoy a well-appointed, professional-level kitchen with all the most up-to-date features, including pizza ovens. With a cook on staff, you don’t have to prepare meals, but you can if it pleases you. There’s also a game room, fitness room and theater. You could conceivably spend your entire vacation never leaving Villa Turtle House. Villa Tip of the Tail is situated along a large peninsula at the end of a private drive. It’s close to Grace Bay, and mere minutes from Provo’s shops and restaurants, so if you want to leave this grand villa in search of further adventure, you can. The villa is located on more than an acre and features 500 feet of private waterfront. The gardens are well manicured, and there is much attention given to outdoor living areas. Take a walk along your private boardwalk, bask on your private beach, or lounge at poolside. The infinity pool features sun decks and a lounge pavilion, while providing immediate access to the great room on the upper level. The great room offers an inspiring view of the sea and opens onto the dining suite, which also faces the sea. The kitchen is equipped with everything you’ll need to create a gourmet meal, after which you might spend some time in the bar and game room, which also open onto the terrace. If a night outdoors around an open fire pleases you, there’s a gas fireplace on the terrace. Then, you can retire to your luxurious bedroom suite and get a good night’s rest pursuant to the next day of your Turks and Caicos getaway. Beach Enclave is located at North Shore Beach and offers the ultimate in privacy with 4-5 bedrooms and luxurious outdoor and indoor living areas. Beach Enclave is part of a gated community including several beachfront villas. That doesn’t mean you’ll lack for privacy, though, as each villa has its own private beach path, pool terrace, lounge and dining areas. Your every need will be attended to by a butler and cook, so you know that every consideration will be given to ensure that your getaway is effortless. Everything you need will be taken care of. The four bedroom villas are single-level, and the five bedroom villas are two-storied. Each villa features three master bedrooms with terrace access, king beds, ensuite baths and outdoor showers. Every bedroom faces the ocean, so it can be the first thing you see in the morning and the last at night. Villa Stark is located in Provo and is a sprawling, 10-bedroom facility. 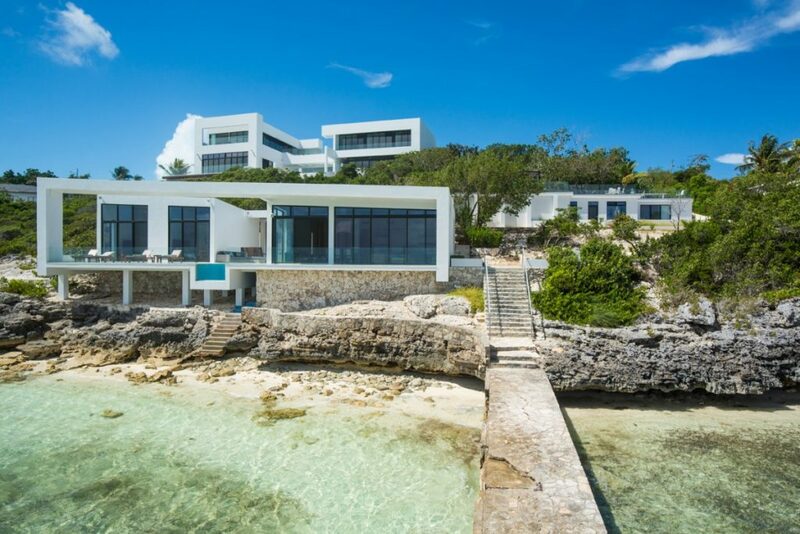 In fact, it’s one of the biggest, most luxurious estates available, with a vast stretch of private beach and stunning architectural details. In addition to the main villa, you’ll also enjoy a yoga pavilion and a beach house. All the buildings offer ocean views and private balconies. Some also feature access to gardens and pools. Your villa will be fully staffed with a butler, housekeeping team, groundskeepers and a chef. Property managers and concierges are also on site. The interiors of the villas are minimalist and yet decorated in such a way as to emphasize the natural beauty of the setting. 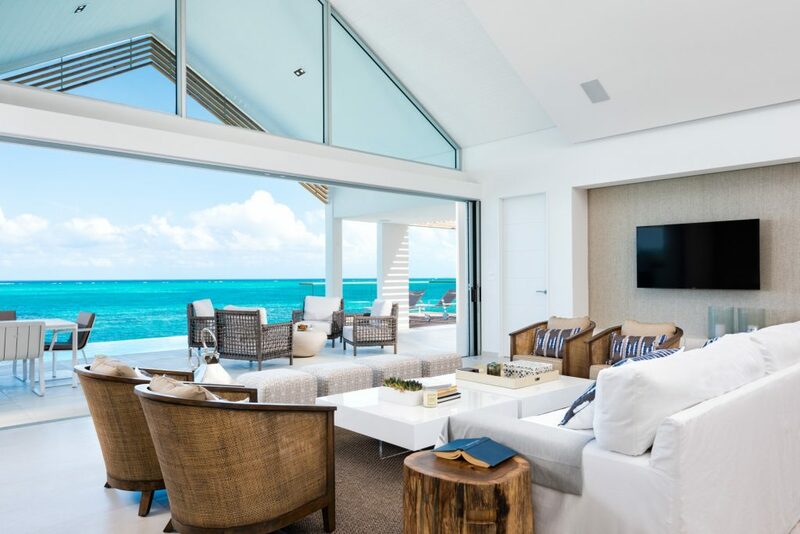 You’ll appreciate the natural wood and the color palette based on the white and blue of the Turks and Caicos sky. Villa Stark is perfect for large groups, or a destination event.